Residents reported seeing an unidentified flying object (UFO) from Saturday night (23) and Sunday morning (24) in Embu, in Greater São Paulo. The lights show circling light revolving around a blue light to the center. 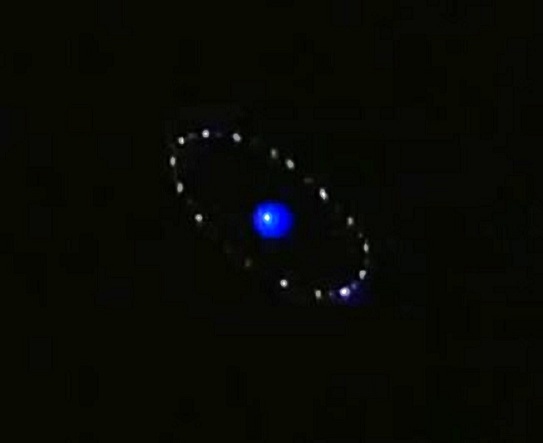 Sought in the morning, the press offices of Aeronautics, in Brasília (DF), and military police in Sao Paulo, reported that there was no incident involving UFOs reported in Embu between Saturday and Sunday. “The land is to eat me if I’m lying, but I saw a disc-shaped object with several lights flashing, revolving around its axis. With lights through yellow and a blue light flashing in the center very strongly,” said Cringer Prota on Sunday by telephone to the G1.